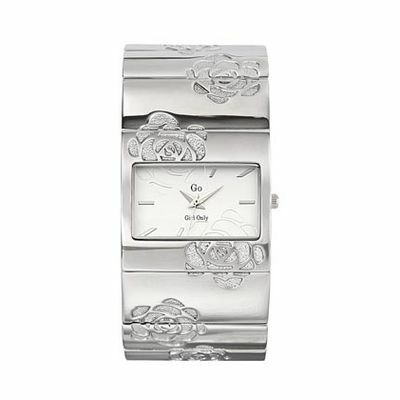 ADORABLE watch GO made of METAL free ANTIALLERGIC nickel and Palladium plated. Both your box and your ARMYS are metal Palladium-plated having a width of 30 mm IDEAL for girls who likes the bulky watches. Around the watch are carved some roses decorative way.